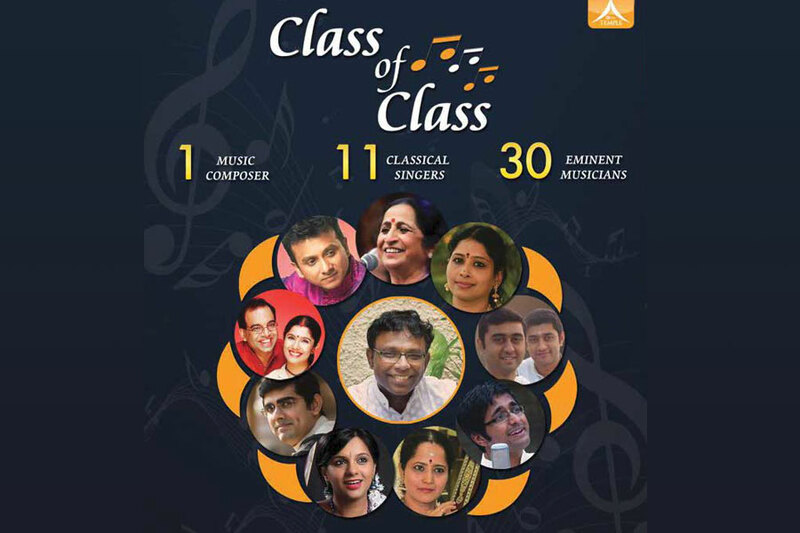 Ramesh Vinayakam, the talented film music composer, conceptualised and curated Class of Class—a full Carnatic music concert featuring many of his own compositions rendered by leading Carnatic musicians, at a well got up event recently in Chennai. The event, produced by Music Temple and managed by Kavasam TV, had around 30 musicians participating in it including Aruna Sairam, Nithyasree Mahadevan, P. Unnikrishnan, Sriram Parasuram & Anuradha Sriram, Trichur Brothers, Gayathri Venkataraghavan, Sikkil Gurucharan, Abhishek Raghuram, and Sriranjani Santhanagopalan. The accompanying instruments included the chitraveena, violin, mandolin, nagaswaram, flute, mridangam, and khanjira played by a team of young artists. Explaining the background of the initiative, Ramesh Vinayakam said that classical music and film music had always exhibited a healthy give and take. “If you take out the raga element, there will scarcely be a film song. While Carnatic music expects the artist to stick to tradition and a structured format, cinema offers the freedom to explore beyond the tradition.” Film music in the early days was heavily dominated by ragas in their pure, Carnatic form. His father Vinayaka Subramaniam – a writer and composer of merit – was a strong influence and Ramesh Vinayakam created his own first composition at the age of 12. A devotee of Tyagaraja and other vaggeyakaras like Papanasam Sivan, Ramesh writes the lyrics and the music of all his Carnatic music compositions which has naturally given him the status of a vaggeyakara. It is a befitting Unique concert of songs by a living vaggeyakara recognition of one who has been with music for more than 35 years now. Ramesh had obviously done a precise selection of the songs and musicians, not to say of a professional presentation including the venue, ambience and excellent stage effects. The event commenced with a brief introduction of the composer and included a short video of Ramesh’s initiatives in the field of music and his collaborative efforts. He has been associated with almost all genres of music and travelled widely for many of his collaborative works.